"What do I do with the time I have left?" 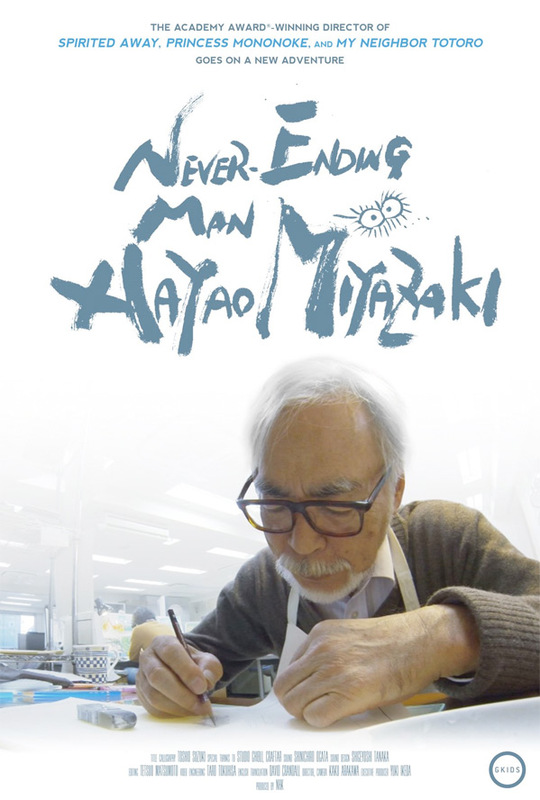 GKids has unveiled an official US trailer for the long lost Miyazaki documentary titled Never-Ending Man: Hayao Miyazaki, which they will be releasing in US theaters later this year (via Awards Circuit). The doc was originally made for TV and released in Japan back in 2016, but has been awaiting an international release ever since then. Never-Ending Man: Hayao Miyazaki spends intimate time with Miyazaki-san himself, examining his time since retirement in 2013. It follows his very first attempts to use computers for animation. The big question it asks: "Can an old master who thinks he's past his prime shine once again?" This film fits right in with that other wonderful Ghibli doc, Kingdom of Dreams and Madness. I can't wait to see this, I've been waiting patiently for it..! Finally coming to theaters. In 2013, film director and animator Hayao Miyazaki suddenly announced his retirement at the age of 72. But he couldn't shake his burning desire to keep creating. After an encounter with young CGI animators, Miyazaki embarked on a new endeavor, his first project ever to utilize CGI. But the artist, who had been adamant about hand-drawn animation, confronted many challenges. The film even faces the danger of being cancelled. Can an old master who thinks he's past his prime shine once again? This program goes behind the scenes over 2 years as Miyazaki overcomes struggles to create his short film using CGI. Never-Ending Man: Hayao Miyazaki is directed by Japanese filmmaker Kaku Arakawa, his first feature film. The originally opened in Japan in 2016. GKids will finally release Arakawa's Never-Ending Man: Hayao Miyazaki in select US theaters + on VOD starting later this year. Stay tuned. Who's planning to watch this?